“Can you help my child to move their career forward?” is a question I’m often asked. My first response is to ask whether it’s the child or the parent who is worried. It’s usually the parent who, understandably, is concerned that their child should start to climb the career ladder and is able to live independently as soon as possible. If you’re a parent of one of those twenty-somethings, here are a few thoughts that may help you to manage your concerns. The first thing to say is that it takes time for some people to decide what they want to do and are best suited to. Don’t worry if your son or daughter spends the first few years of their working life trying different jobs. this will help them to work out where their strengths and interests lie. Are they better suited to working with the public, a close set of colleagues or largely alone? Do they like to be moving about or sitting behind a desk? Can they sell? (I always recommend people try at least one job where they have to sell – it’s excellent training for all areas of work). Do they like the cut and thrust of business, or are they better suited to something that is related to social values? Think of those first few years as a set of extended paid internships and by the end of it they will know themselves pretty well. I like to think that in the future there will be far fewer people coming to see me around the age of 40 having realised that they have been unhappy for the best part of twenty years because they entered a career without knowing if it really was right for them. Secondly, the world of work is probably very different compared with when you started out. There’s much less long-term careering nowadays. The workplace is changing so rapidly that skills needs come and go almost overnight. I think you’re going to see many more people who enter the job market today end up with upwards of four or five different careers behind them. By the time they end their working life there’s a chance that some of their early jobs will be as obscure and obsolete to their grandchildren as a lamplighter is to us. In other words, they might look like they are drifting from one thing to another, but the reality is that this is how many people will work in the future. Which brings me on to my next thought: I don’t think the current generation entering the workforce think about work in the same way as we and our parents did. Many are still motivated to achieve in a professional sense. They are concerned about being able to enjoy a good quality of life and they worry about whether they will ever be able to own a property. Nonetheless, a career (and life more generally) for the next generation will not be about climbing a ladder, but about gathering a range of fulfilling and challenging experiences. One final thought. Your children are going to be a long time working. Much longer than us. They are going to live longer, and if they retire at 60 or 65 they’re going to struggle on a pension plan that will need to stretch for perhaps 40 years. They know that they are probably still going to be fit enough to work into their 80’s and they know they will probably need to. Is it any wonder they’re not all champing at the bit to get started on their career now? In a sense they are bringing their retirement forward. Instead of going on cruises at the end of their working life, they’re going to irrigate African villages at the beginning of it. In conclusion, don’t worry that your child appears not to be engaging in their career they way you might expect them to do. They are probably looking it through a different lens. Their world of work is very different to yours, and the way they are approaching it probably looks strange to you, but not to them. Me going to work in 50 years time. That’s my wife making sure I get there. several months, and was not securing interim or consulting assignments either. He is in his early 60’s. The story struck me as being indicative of an increasingly common phenomenon – people no longer reach retirement age, they simply realise one day that they are not going to work again. What a shocking feeling that must be. The parlous pensions situation which, when combined with longer life expectancy, means that many people cannot envisage stopping work with an acceptable means of supporting themselves, at a planned time. The changed regulations regarding age discrimination that has removed the notion of an expected retirement age in employment. So people no longer expect to work until 60 or 65 at which point the finally get to be the guest of honour a little drinks party in the boardroom, where a few nice words are said about them, they are presented with a gold (plate) watch and a pat on the back before the door is eagerly openend for them and they disappear into the sunset of their lives. Instead people keep working until they are made redundant or decide to scale down from full-time employment, and just never get another job again. Once a person reaches around 55 they are effectively on borrowed time. Every job or assignment is a bonus. Every job or assignment could be their last, and the longer the gap between jobs or assignments the more likely it is that their working life is ended, they just don’t know it. One day they wake up to the reality of their situation and stop trying to find a job. They don’t know their career is over because they don’t have a nice company pension to take advantage of – the one they worked all their lives for, the one they knew about and that kept them going all the way through that long, arduous career. The one that was going to pay for the food, clothing and petrol when they sold up and moved to the countryside. That’s because there isn’t any of that any more. The day we retire will be, for an increasing number of people, some time in the past that we weren’t aware of at the time. It’s that moment of realisation that scares me. I imagine it will be traumatic when it comes. At the moment I’m fit and active. I’m happy in my work and I can do it. I’m worried about the time when the phone stops ringing because people think I’ve gone past capable and knowledgeable and become slow and out-of-touch. I’m dreading that moment when I finally realise that I will never earn a penny again and what I own is all that is available for me to live on. Not knowing how long I will live means I will have no idea how far my assets will need to stretch to sustain me. I’m not thinking about the state pension in all this – that will pay for the milk and a couple of new pairs of underpants a year. The personal pension plan that I have been promising myself to load up will do hardly better for me, hedonist that I am. If only I were one of the few who derive pleasure from delayed gratification. I’d be living like a pauper now so that I could live like a king in my dotage. Of course, I have no reason to assume I will live long in my dotage, or even reach it, so why would I live like a pauper now if that were the case? If I die young having scrimped for my old age I would celestially kick myself. The discussions surrounding the pensions time-bomb, longevity, end-of-life management seem to me to always be an economic conversation. I think it’s time people started talking more about the psychological impact of the unplanned career end that is going to affect so many of us over the coming years. If you are currently looking to change career or secure a new job, and are struggling, my low-cost workshops will help. and on February 7th it’s Interview Preparation CLICK HERE for details. Retirement is approaching 125 years old. It was born in Germany in 1883 when Otto von Bismark, in a attempt to draw support away from the socialists, offered a state pension to the unwaged over the age of 65. About 20 years later the argument for retirement moved into the arenas of medicine and economics. Dr William Osler pronounced that our performance, and therefore economic value, declines from the age of 40 and that by the age of 65 we are virtually useless. 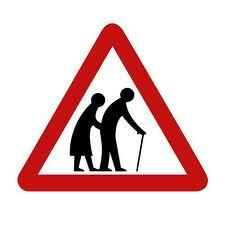 Thus society is advantaged by removing the elderly from the workforce. Factories, especially the American ones that Osler had in mind, would be much more productive if they only employed energetic young things. Before this time few people lived long enough to reach that point when they were no longer productively useful. They’d usually die of something or other while still physically strong and therefore there weren’t many people at the top end of the age spectrum to look after. The UK’s first state non-contributory pension scheme was introduced in 1909 for the over 70’s. It was then reduced in 1928 to cover the over 65’s but this time under a contributory scheme. This was not a significant burden on the state at all. The numbers expected to reach the age of 70 in 1909 was less than 5%, and only a proportion of these would pass the means-test (as well as other factors to do with “good character”) enabling them to claim. About 500,000 people were paid the first pensions in 1909. That compares with some 12 million pensioners today, or, to put it another way, in 1909 around 1.2% of the population drew a pension, compare with about 19% today. The pensions crisis is well-documented and I think it will play a major role in the death of retirement. If people don’t have enough money to maintain an acceptable standard of living they will inevitably try to find a way of bringing in more income. If you entered the workplace in the mid-80’s you may well never had worked for an organisation that offered a contributory pension scheme. This means that the responsibility has been upon yourself to maintain a personal pension plan. Well, how diligent have you been? Have you been increasing your contributions in line with your earnings or has that standing order remained much the same since you started it as a junior whatever? Have you, like so many others, dropped you contributions during the current recession? What’s it going to give you when you buy an annuity, should you decide to buy an annuity? A recent survey found that someone saving £100 gross per month for twenty years would now have a pot worth about £40k as opposed to over £100k for someone saving the same amount but retiring ten years ago. Not only are more of us living longer, which is the cause of all the problems, we are also, of course, healthier. That means that we are able to carry on working effectively well into old age. Today’s “useless” 65 year old that Osler recommended sending to the knacker’s yard is as productive as the 25 year old of his day not least because work today is nothing like as arduous, especially here in the west. We’re all desk jockeys, not miners. We are easily able to work for longer and furthermore, people very often want to keep working. Many define themselves by their work or see it as the most interesting way they are able to spend their time. Have you watched daytime TV when you’ve been stuck at home sick? How do you fancy thirty years of it as you wait to fall off the twig? Work is also often the most social contact people have in a time where extended families no longer live together. The elderly are often the loneliest due to bereavement, and yet they are perfectly capable of getting out and working, something that enables them to be in contact with other people. Having said that, we’re also seeing a move towards greater homeworking and this will suit those who may be less mobile. It looks very much to me that we’ll be moving back to a pre-industrial state as far as retirement is concerned. Just as in those days we worked until we were physically unable to carry on doing so, so will it be the case again in the future. Our expensive lifestyle does not permit retirement on the incomes we are likely to be offered. The vast majority of us are unlikely to be in a position where we could describe ourselves as independently wealthy, or even comfortable. Age discrimination regulations have come to our aid by making it easier for people to work longer as employees. This will ease the pensions crisis considerably, I suspect. Many who live the longest will no doubt struggle as they enter very old age, (and I think some terminology to distinguish the old from the very old will be required). I doubt we’ll see a complete cessation of the pension system. There will always be those who cannot afford to survive without support. Perhaps this will require some kind of qualification, rather in the way that Disability Living Allowance works today, or perhaps we’ll just continue to see the retirement age rise over time. For the majority, however, it will be about working until the end of life, or very close to it. So, if like me you grew up thinking that work was a phase in life, it’s time to think again. We were never put on this planet to sit around. we’re animals, and all animals must be productive because the unproductive die. We were never entitled to the luxury of a long retirement so let us start getting used to seeing it as a historical blip. If you’re not planning to retire yet, and are thinking about changing jobs, why not attend my low-cost workshop on Interview Preparation on January 11th in London? I’m not sure about scrapping the retirement age. I welcome the ruling in one respect – forced retirement simply on the basis of someone’s age, without consideration of capability, is simple discrimination. There are, however serious implications that come with this new legislation. The first and obvious issue is that there are some jobs that people become less capable of carrying out as they get older. Usually physical jobs, or those that require quick reactions. I have little doubt that provision will be made either within the existing assessment and review systems applied in the workplace, or with some fairly simple legal exemptions. What concerns me is the impact it will have on employment decision making. Employees in their fifties are already finding it hard enough to change job because of discrimination. Just because there are laws against it doesn’t mean it doesn’t happen – the age discrimination rules are amongst the hardest to enforce. If employers feel they will be stuck with people indefinitely they will be even more reluctant to take on older workers. It’s a bit like asking someone to buy a house with a twenty year lease. This means there will be potentially even more older people out of the workplace, with the “real” retirement age actually going down. For people who have been made redundant there will be greatly reduced opportunity to return to the workplace, but perhaps even more worrying, if older people feel they are unlikely to be able to easily move around the job market they will try to stay as long as possible in a company, relying on the protection of the law to keep them there. This is an unhealthy situation – organisations rely on a flow of people in and out of them to inject new ideas and energy. A static workforce is not necessarily a healthy one.